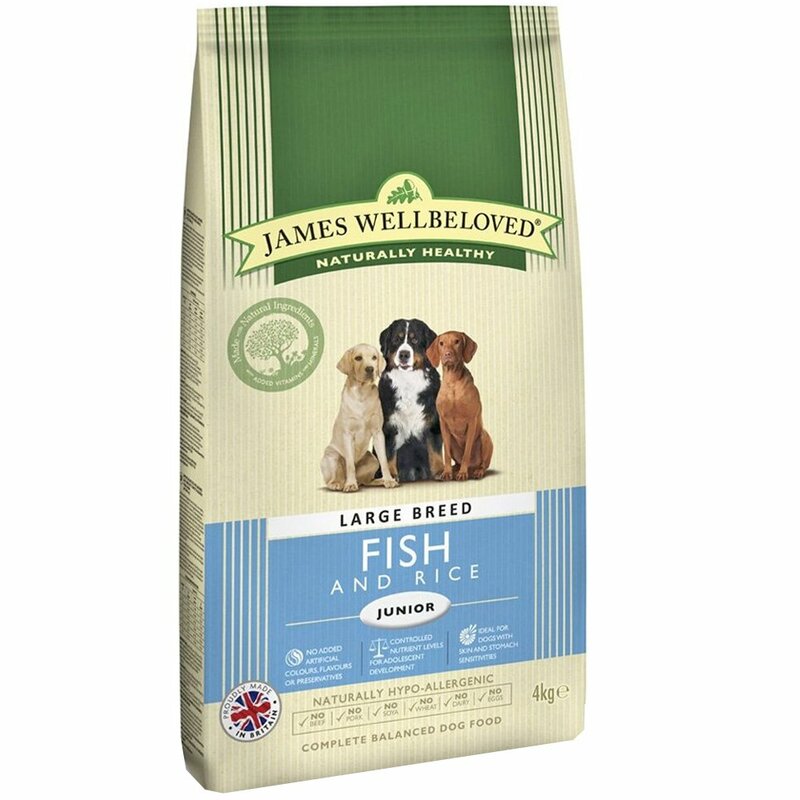 James Wellbeloved Large Breed Junior Fish and Rice provides naturally healthy white fish nourishment in a hypo-allergenic food. James Wellbeloved dog food is hypo-allergenic to help stop loose digestion and soothe skin irritation. Gentle on your dogs digestion and extra large kibble for a Big Bite. With JW+; The unique formula Joint Therapy System is a special mix of chondroitin glucosamine and herbs to help lubricate dogs joints and ligaments aiding mobility. Delicious and crunchy and British made for freshness and quality. 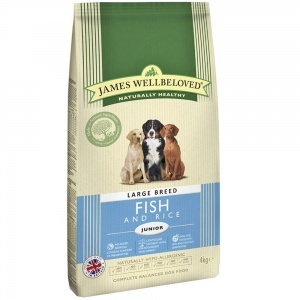 James Wellbeloved Large Breed Junior is available in 15kg bags on special offer for the cheapest price online.